How to get 20 tanks from Russian to Nicaragua when FedEx won't help. 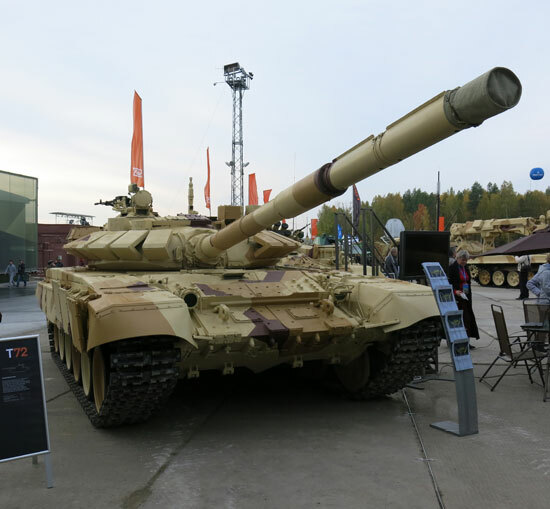 In May 2016 documents were released, or leaked, on Russia's State procurement agency's web site showing a deal with Nicaragua to sell 50 T-72B1 tanks to their military (ref). More recently, Bill Gertz of the Washington Free Beacon published the deal included provision for a SIGINT station to be co-located with a GLONASS satellite ground terminal (ref). Shortly after, those claims were rebuffed by the Russian media (ref). So who are you going to believe? Also, where are the tanks now, and how do you get 20 tanks to Nicaragua from Russia anyway? 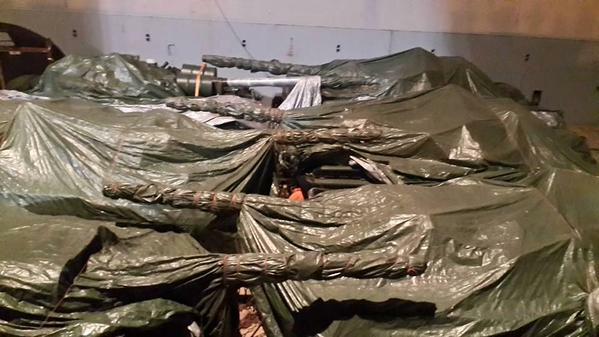 You could load them on a transport plane, but that's by far the most expensive way; just float them over on a boat! Remember back in 2008, there was an arms embargo on South Sudan, and Ukraine was smuggling them tanks via Kenya on board the MV Faina, a 500ft cargo vessel, but the shipment was intercepted by those pesky Somali pirates and delayed for 5 months? No? Let me jog your memory. The following video, according to the Kenyan Defense Department, has nothing to do with the smuggled tanks that were offloaded, and are not being transported to South Sudan. This is just an ordinary military exercise, that happens to involve a lot of tanks, being shipped toward South Sudan... Seriously? From this we know a 500ft Roll On Roll Off (RoRo) civilian cargo vessel can carry 33 tanks that weigh about 41 Tons each. 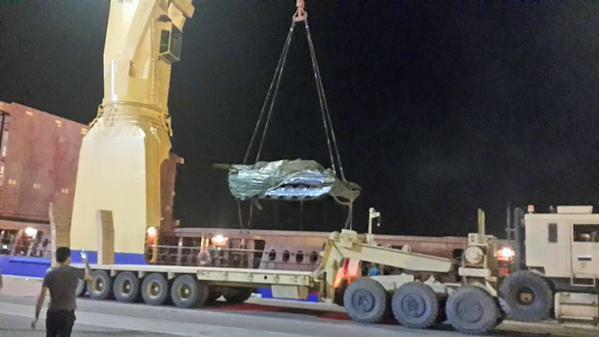 As you see in the AP video, a RoRo allows vehicles to roll on, then roll off; no crane needed. Otherwise, you'd need a 45 Ton crane in order to lift a 41 Ton tank off a cargo ship, and depending where you're offloading, the port may not have one. In 2015 Iraq ordered some modernized T-72s as well, to replace their American M1A1 Abrams tanks. To an American this might be viewed as a downgrade, but the Abrams is the Cadillac of battle tanks, and costs 1000% more than the T-72, which has been greatly improve over the years, and is arguably only marginally less capable than than Abrams. 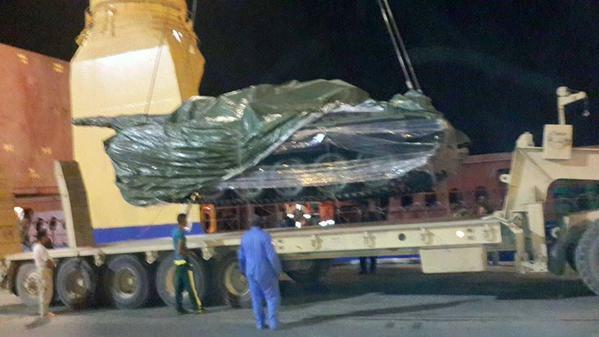 Here are pictures of the Iraqi T-72s on board, and being lifted out of an unnamed general cargo vessel (ref) in the Umm Qasr Port, Iraq's only deep water port, and I believe the only port capable of off-loading these tanks - in 2015. 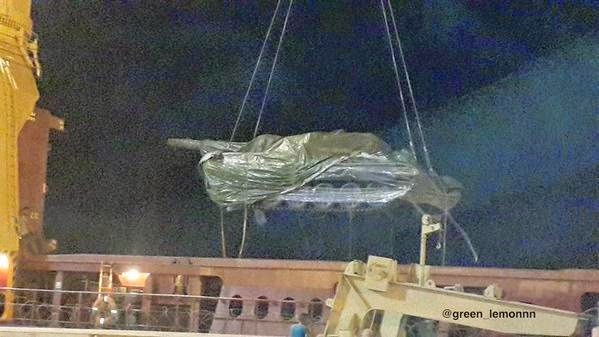 Using the information about those two previous tank shipments, I went looking for a civilian cargo ship, either a container ship or a RoRo, that was in transit, or had arrived in Nicaragua, from Russia, and had likely departed in late April or early May. But what port in Nicaragua would it be going to? As it turns out, the port of Corinto, which I was familiar with from last years visit by the Fotiy Krylov and the Marshal Gelovani, is the largest and busiest port in Nicaragua, and the only one in Nicaragua with a 45 Ton crane capable of dead-lifting T-72 tanks (ref and ref), unless the ship used is a RoRo. So we know how big a ship we need, what sort of a ship could do the job, and where it's likely to go. How do you find the ship? AIS, my friend. 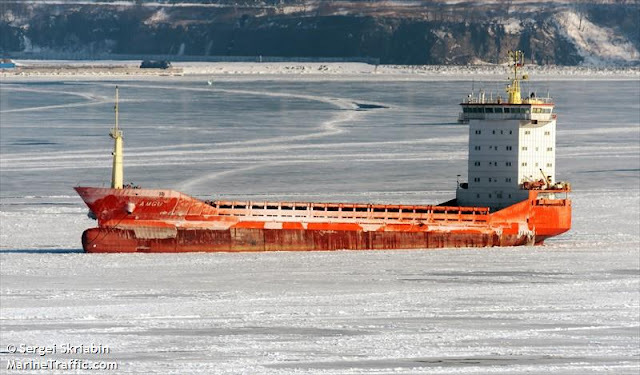 Looking on MarineTraffic.com for arrivals and departures from Corinto, I found mention of a general cargo ship called the AMGU, a freshly (red) painted Belize flagged general cargo vessel reportedly owned in 2015 by INDERTON LIMITED S.A., and managed by ACREX CORP., Ltd; both listed with the same address in Vladivostok. Sounds legit right? Not just a shell company created to operate ships at arms length from the military or government, Air America-style? The m/v AMGU left Vladivostok on May 5th 2016 at 17:04UTC, and arrived at Corinto Nicaragua on June 5th. She left again on June 9th at 04:39LT, reportedly heading for Vladivostok, after being in port for just over three days. One more thing that makes me suspect these facts all line up; the Russians established a training base (Mariscal Georgy Konstantinovich Zhúkov) at the Nicaraguan mechanized Infantry Brigade (BIM) in Managua in 2013, which is only a few hours from the Port of Corinto; where the tanks are expected to be initially deployed to. I think it all lines up, so my money is on the tanks being transported by the m/v AMGU. 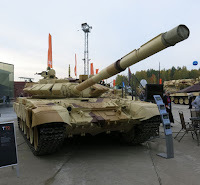 Here is more video; including the modernized T-72 in action at the Russian Arms Expo in 2013. 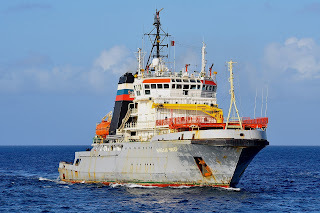 Remember back in the spring of 2014 there was a Russian "Spy Ship", a Russian Navy AGI, the Viktor Leonov (Виктор Леонов), floating off the East coast of the USA for weeks, and a Russian Navy SAR/Salvage/Tug, Nikolay Chiker (Николай Чикер), in the same area, at the same time, zig-zagging around? If you don't, here is Bill Gertz's article about the Russian Spy Ship and Tug. Here are my previous posts on the topic too. I wanted to fill in the blanks on the map I had made previously with the *complete* trip the Nikolay Chiker made using historical data from a commercial AIS provider... but it would cost hundreds of Euros to get what I was looking for, so I decided against it. Without a corporate financier, it seemed a little extravagant. So, the map remained cobbled together with whatever free copy & pasted coordinates I could find at the time, and Tom's coordinates that he was tweeting from the moorse code they were sending back home over HF. It did the job, at the time. Seven months ago I realised the Terrestrial Automatic Identification System (AIS-T) receivers along the US Coast are operated by the US Coast Guard, so I asked the Coast Guard for a copy of their historical AIS data of the Nikolay Chiker's positions (IMO: 8613334 / MMSI: 273531629) from March 01, 2014 to May 13, 2014; when I knew it should have been near American waters in the Atlantic and Gulf of Mexico, and more importantly, within range of US Coast Guard AIS-T receivers. I submitted my FOIA request in November of 2015, and received the information in June of 2016. I guess I can't complain regarding how long it took; I didn't pay anything for the information, and I'm even a foreign national! 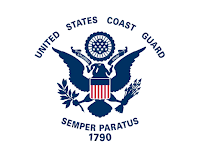 I'd like to give a big thank you to the folks at the US Coast Guard for providing the information, it was very much appreciated. The AIS transponder on the Nikolay Chiker beacons to anyone who's listening. When she is close enough to shore, US Coast Guard (AIS-T) shore-based receivers pick up her location, speed, heading, etc... Click on the red dots to get the information relayed via AIS at that location. Some dotted lines fade out as the ship edges out of range of the shore-based receivers. The ship can also turn off it's transponder at any time, but I'm unclear if regulations or conventions restrict when they can do so. Please note, there are no timestamps on the locations; I didn't figure out how to preserve the timestamps from the US Coast Guard FOIA I filed. We don't see any satellite, aerial, sub-surface, Coast Guard ship-based, gypsy-with-a-crystal-ball, sonar, or radar data. I mention this because there are a lot of gaps in the data, and I don't want to give the impression the ship was hiding at all - this is not a comprehensive view of what the US Coast Guard and US Navy can "see" and are situationally aware of. This is just one unclassified public solution used in maritime shipping globally, where unclassified data meets classified operational information. Also worth mentioning is that all of this information is served up by an AIS beacon, which the Captain of the Nikolay Chiker knows is broadcasting for all to see. Keep in mind we don't see the position of the Viktor Leonov AGI, but we know from eyewitness accounts that the Viktor Leonov and Nikolay Chiker were very near each other on March 21st 2014, just outside US waters, right near Naval Submarine Base Kings Bay. Naval Submarine Base Kings Bay is home to two Ohio-Class SSGNs, six Ohio-Class SSBN submarines, has a stockpile of 107 Nuclear SLBMs, and I suspect even more warheads. These submarines were initially commissioned between 1979 and 1994, and are living reminders of the Cold War. 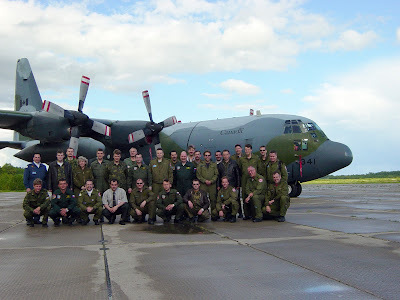 They are still in use, have been extensively refitted, and their mission often consists of lurking in the depths of the ocean, trying to stay undetected by the Russian Navy. Clicking through the data, you'll see the Nikolay Chiker laid anchor at least a couple of times off the coast near King's Bay, then Daytona Beach seemed to attract her attention, and eventually Cape Canaveral where there was a SpaceX launch taking place. If any ship was just "passing through" it would be unusual for it to lay anchor at those locations, I'd think. No commercial shipping would normally stop in those locations, none of them are particularly attractive to stop and stay for the night (or day). We are, unfortunately, only seeing half of the scenario - the Viktor Leonov AGI was also off the coast, and if it was leading the way, the Nikolay Chiker could have just been killing time. A Naval AGI asset's whole purpose is to collect ELINT / COMINT (SIGINT) on a target. What targets were they listening to? Civilian comms infrastructure or military comms? Were they just getting samples of data from each location along the coast, or listening for one thing the whole way? Please notice what speed the Nikolay Chiker was travelling while examining her positions on the map. I speculate when she is travelling alone she travels at full speed; 12-14Kts. When she is with the Viktor Leonov, I believe she limits her speed to the same as the Leonov; a slower ~8-9Kts. Further, I can't explain why she would trawl at 3-6Kts, unless she was towing a sensor array, or something similar. Unfortunately I have a limited data set, but hopefully over time I can compile more examples of Russian Navy Auxiliary ships doing strange loitering off the East Coast of North America, and draw further conclusions. I can't draw any conclusions from this data, but I can throw out more speculation. It's likely the Nikolay Chiker's mission was multi-faceted. I would be surprised if they crossed the Atlantic from the Mediterranean solely in case the Viktor Leonov had engine trouble and needed a tow. While that is part of Russian Navy doctrine (always travel with a tug), I wouldn't think having a tug deployed and travelling in circles while they waited for an emergency wouldn be an efficient use of resources. The Nikolay Chiker has a moon pool (to allow diving from the inside/bottom of the ship) and decompression chambers that allow for deep water operations. This is a "special set of skills" that not many ships have, and would lend itself to covert underwater operations. I suspect the Nikolay Chiker was surveying the ocean's bottom for ASW sensors and undocumented military underwater cables, but I have no way to prove that without knowing where the sensors and cables are - and their locations are... you guessed it.. Secret. The Nikolay Chiker has several extremely strong winches and cranes, to facilitate both towing and Search and Rescue operations. Those same features could be used to move/lift/drag objects on the ocean's floor, or lift them to the surface. On the old map you'll notice that several long straight lines were sailed, back and forth, in the Caribbean. These are similar to the back and forth that was done off the coast of Georgia. But what were they doing? I remember someone called it "loitering", but it seems very purposeful to me, not just random paths. While I try to discern what military purpose these paths on the map might allude to, I also realize that there may be human factors, that are less military or professional, that could be at play. Maybe the Captain of the Nikolay Chiker was following some wales, so he could take pictures of them? Maybe the Nikolay Chiker and Viktor Leonov met at sea not for replenishment operations, but to have a long promised poker game? Maybe the Nikolay Chiker made a bee line from the Caribbean to King's Bay at a high rate of speed to get out of the way of an approaching storm? By only seeing the AIS data from the Nikolay Chiker, without context, and without the path of the Viktor Leonov, I do admit any conclusions I draw will be wild speculation. So, if you have any ideas what they were up to, and have any additional information, please let me know. 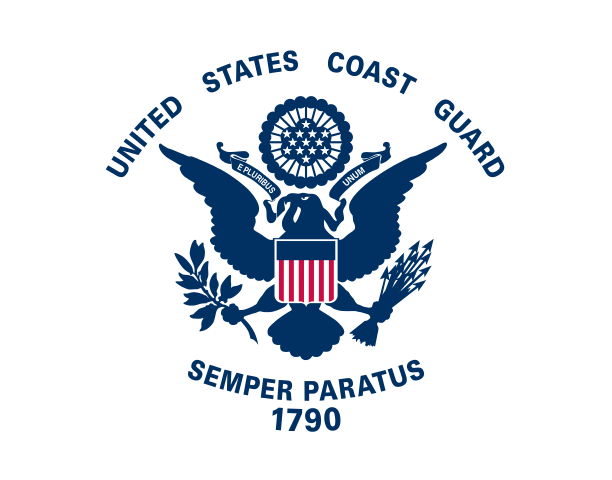 I'd like to thank the United States Coast Guard, who don't get sufficient credit in this age of international military interventions. They do great work, at home. I'd like to thank Andre van den Berg for his help; Andre is an expert in the field of AIS, a consultant, and the CEO of Maritec.